You are here: Home / Frequently Asked Question / Why do Soy Candles Burn Longer? 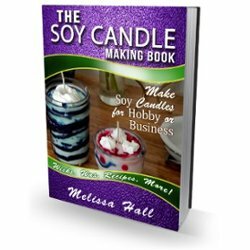 Soy wax is a softer wax and doesn’t take as much heat to melt. Therefore soy candles generally need a cooler burning wick depending on how much fragrance oil and dye is used, the more used, the hotter the wick most likely that you’ll need. I had no idea that soy candles could burn for so long. I have never tried using a candle like this, but it seems like it would be really cool to try. How much do soy candles usually cost? Something like this would definitely help make my home a little bit more classy.